People who make the choice of cats as pets are found to be concerned about their lifespan and therefore they never avoid themselves from having good information about the cat breeds with a long lifespan. The breed of a cat has an important role in determining the life span of the cat but there are many other factors that should also be kept in mind. The life expectancy of cats is also determined by factors like its diet, weight, neutering, and environment and spaying. Persian cats have a life expectancy of fifteen years and more. Persian cats are considered to be very healthy and they do not carry any diseases because of which they are considered to live for a very long time. These cats are perfect lap cats possessing an extremely mellow nature and they are perfectly content at spending their days sitting and keeping an eye on various things that happen around. 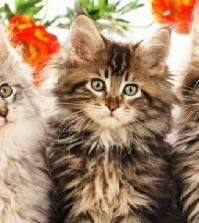 These cats are long-haired and therefore it is important to groom and brush the cat’s hair from time to time in order to keep the cats in good conditions of health. Oriental cats are long-lived and short-haired cats. They also live for an average of fifteen years and they are considered to be very energetic, family-friendly and active. These cats are very strong and healthy and at the same time they are also very interactive and playful in comparison to other felines. Siamese cats can also live for a very long time. 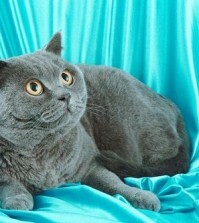 The average life expectancy of these cats is fifteen years but they are also found to live for twenty years. These cats are very healthy, they do not get infected very fast and they can also adapt themselves to domestic life very easily. The Siamese cats are very thin but they possess long tails that are very beautiful and they are also very active. The life expectancy of Egyptian Mau is less than fifteen years. 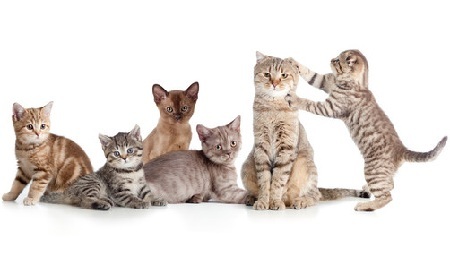 This breed of cats is considered to be very healthy and they are not prone to any kind of diseases. They are very popular as cats, physically beautiful and they also carry spots that are not found in any other breed of domestic cats. These cats are thin naturally, moderately playful and athletic. In addition to this, the cats are fiercely loyal, adaptable and elegant. 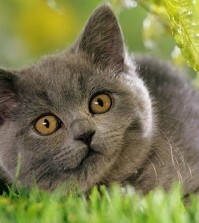 Of all the cat breeds with long lifespan, the Russian Blue breed is known to be a cautious breed. These cats are very reserved, slow in warming people and shy. They are not the right choice for families that have small children and they tend to be very sensitive to sounds that are very loud. However, these cats become very interactive, playful and start craving attention once they get familiar with the surroundings.